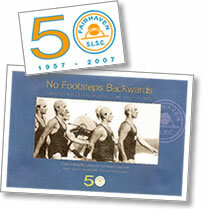 A must read: No Footsteps Backwards – Fairhaven Surf Life Saving Club 1957-2007. The story of early Fairhaven explores the growth and development of our club and provides information about the achievements of our members. To purchase your copy of No Footsteps Backwards: Click Here (pdf 240KB).